There's been a lot of hubbub surrounding the latest release from world-conquering Brits, Muse. A bonkers Olympic theme, a fascination with flavour-of-the-month genre dubstep, and the kind of statements that make you think that Matt Bellamy adorns a tin-foil hat when he's at home. It doesn't really inspire confidence considering their overblown but underwhelming previous effort The Resistance. The 2nd Law continues in the same over-the-top fashion of The Resistance, but replaces the pomp and the symphonies with a sense fun and an extra helping of bass. Muse has always been a bass-heavy band, it is one of their great strengths, and the work of bassist Chris Wolstenholme doesn't disappoint this time round. Album opener Supremacy kicks off with a huge bass hook before ominous violins and a marching band beat come in, while Panic Station sounds like Queen at their most aggro with a dash of Stevie Wonder thrown in for good measure. Lead single Madness is a song that manages to combine deep, squelching electronic bass and sweet balladry and pulls it off to great effect. These three tracks ensure an excellent start to the album but from then on feelings are a bit more mixed. Survival, the theme of the recently completed London Olympic Games, isn't quite as bad as it seemed when it was first foisted on the sport-watching masses. It's as manic as a child who's discovered Red Bull for the first time, but those lyrics are still cringe-worthy. 'Life's a race/and I'm gonna win.' Yeah, you're gonna win an award for worst lyrics of 2012 (I would like to accept my award for worst joke in person, please). Follow Me attempts to use a dubstep hook to generate a massive chorus but falls flat in the process, undoing the work of the momentum-building verses, but Big Freeze makes up for it by managing to take a leaf out of U2's book and make it their own rather than using it to wipe themselves with. The final section of The 2nd Law is confounding. Four tracks that seem like the kind of experiments consigned to B-sides are tacked on the end and they seem out of place. The two tracks are written and sung by Chris Wolstenholme aren't necessarily bad per se, but are sorely in need of Matt Bellamy's vocal prowess. Liquid State, in particular, is a Foo-Fighters–esque slice of heavy rock that would be made great if Bellamy took the mic as per usual. Maybe save these for a solo project, Chris. The album closes with two instrumental tracks. 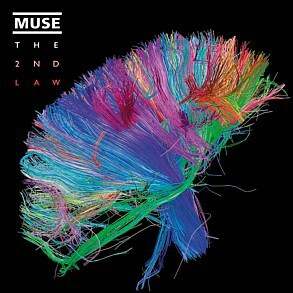 The first is The 2nd Law: Unsustainable, a preachy piece of generic dubstep shite. The 2nd Law: Isolated System is slightly better, but it builds up to nothing to make for a disappointing end to what is ultimately a very fun, but uneven record. Thanks for this well written review - it made for an enjoyable read. I thoroughly enjoyed this album - but agree it is somewhat flawed. I've come to love Survival, particularly the live version.